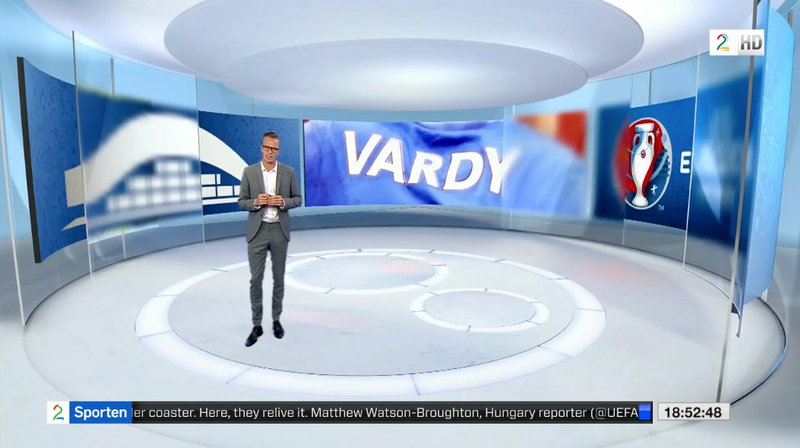 Using only a small studio, Norway’s TV 2 was able to create a flexible production space for this years UEFA Euro 2016 coverage, thanks to virtual technology. 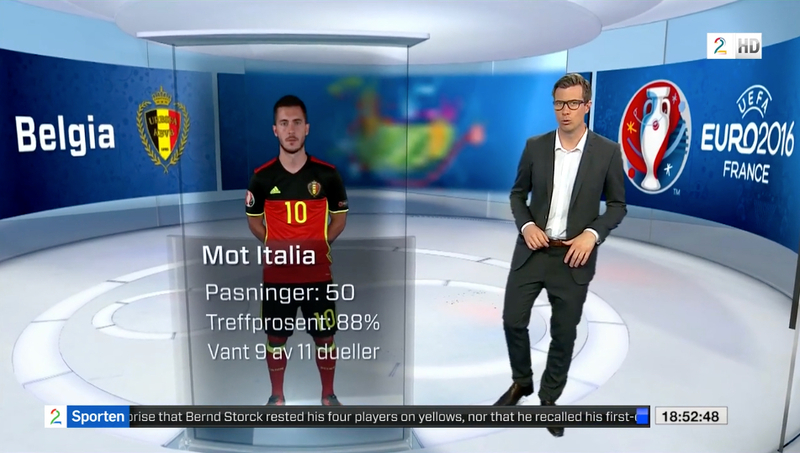 TV 2 worked with Dot Connector to design a virtual set that would work for multiple shows across the networks football schedule and integrate with Vizrt’s various production tools. For the project, Vizrt’s Viz Virtual Studio software was controlled by a Viz Mosart automation system. Viz Pilot was also used, through TV 2’s newsroom, to create template-based graphics for the shows. The set includes 23 different graphic looks, plus two glass windows on set that can transition to six different locations within the space.